Made from flexible and durable silicone. These number sets are made for counting! Green SiliShapes® Dot Numbers have the exact number of dots molded into each numeral to encourage counting. 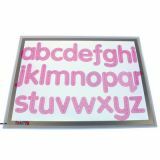 Ultra Bright LED Light Panel with 3 light settings is an essential and versatile cross-curricular resource. 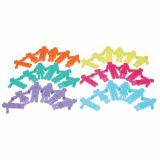 Providing a cool, clean, bright illuminated background, it is ideal for the investigation of light, color and shape, or for focused group work in a wide range of curriculum areas. Slim design with rounded edges, this award winning light panel is tough, portable and easy to wipe clean. Simple operation and lock function to prevent panel from being turned off unintentionally. Great for learning centers and small groups. Typical life span for the low energy LEDs is approx 50,000 hours. Typical life span for the low energy LEDs is approx 50,000 hours. Size: 18.11" x 13.39" x .31". LED Light panel, low voltage power supply and Light Panel guide. 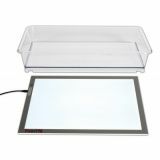 Exploration Tray: Giant sized multifunctional tray measuring 22.25" x 17.32" x 4" is designed to fit over the TickiT® Ultra Bright LED Light Panel or it can be used on a desk, on the floor - inside or out. Made from clear polycarbonate giving it incredible strength and longevity in the classroom where its rigidity means that even when filled with water it can be lifted and moved around without it flexing. In addition to its everyday uses with a variety of liquids and textures for general artwork, the tray has been cleverly designed to provide a space for the illumination of activities. 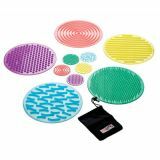 Children will enjoy using this when making patterns, drawing, painting or using food substances to create interesting textures and effects. Also brilliant for use with inks, dyes and for marbling.